Does your small association or club have a content marketing strategy? Last week, the topic of our Small Membership Advisory Community call was content marketing. These are sessions we hold with small groups on topics of interest to associations, clubs and non-profits. Since we know that membership engagement and recruitment are top priorities for membership organizations, we wanted to look at if and how these organizations were approaching content marketing. The session offered up some great food for thought, so I’m sharing some of the ideas for those who couldn’t attend. What is content marketing and is it really applicable to membership organizations? Based on that definition, I’m sure that the majority of small membership organizations are creating lots of terrific content – publishing newsletters, offering advocacy updates, holding educational or industry events. So you’ve got the content development side of the equation covered. And you certainly understand your audience – your members and prospective members. But I’m guessing that most of you haven’t developed a content strategy that clearly plans out how you’re going to distribute your “relevant and valuable content” to attract and engage your audience. If not, don’t feel too bad, according to the Nonprofit Content Marketing: 2014 Benchmarks, Budgets, and Trends — North America, “Ninety-two percent of nonprofit professionals use content marketing, but only 25 percent have a documented content strategy”. If you’re thinking that your association, club or non-profit has been developing and even marketing content for years, you might be right. You may have been publishing a lot of information, but have you been simply pushing it out without a strategy to encourage engagement? Are you sharing it across multiple channels so that you are getting your members’, supporters’ and prospects’ attention; getting them talking about you and sharing this informative content? I’m guessing that like the participants who joined our conference call last week, your organization is likely struggling to pull together your standard content, such as a quarterly newsletter. Perhaps you’ve recently transitioned this to an online or email version of your former printed newsletter. You may have tried blogging, but weren’t able to keep up a regular schedule, because like one of our Advisory Community members, you're “a one-woman show”! So you’re time- and resource-strapped and wondering how you can possibly manage any more communications. In addition, another participant on our call reminded us that we’re all overwhelmed with information coming at us – including our members. So getting our members’ attention and offering brief, relevant content is critical. But the reality is that we all live in a multi-channel, multi-media world. Media fragmentation is a reality we all need to deal with. By developing a content strategy, you can identify the communications channels that make sense for reaching your members and prospective members and what you should be sharing on which channels. In essence, it means looking at all of the tremendous content you have developed and will continue to create, and distributing it in the right format, through the right channels to the right audiences. In other words, content marketing means not just producing “content” but using that content strategically to target an audience or achieve an objective. Why spend the time and energy on a content marketing strategy? To provide enhanced value to members. To recruit participation in conferences, events and other programs. To build awareness of association, industry and/or profession. To enhance advocacy efforts and/or advance our mission. weapons – what content will have impact, engagement, etc. movements – what’s the best way to put this in place? Like Lamees, Jay suggests that membership organizations "start small, since small easy wins can move you forward." And Shiv cautioned against suffering from “ducks in a row syndrome”. He suggested that sometimes we wait until we have all of our ducks in a row, but sometimes it’s just best to start something and go from there. Identify your goal(s): What are trying to accomplish and how is your content going to support those goals? Figure out the right medium(s) to reach your audience – How do your members/supporters consume content and process it? e.g., social network, or blog/forum. Start with the one that makes the most sense and build on that. Determine what you have to work with: look at your “content assets” – content from your website, newsletters, forums, blog posts, journals, annual reports. You have a treasure trove of great information, but you need to figure out the best way to offer it up. Start small – create a simple editorial calendar. Identify all of the pertinent communications channels (offline, online, and social media) for your audience (members and prospective members) and map out the topics, type of content format and the frequency with which you'll disseminate the content. 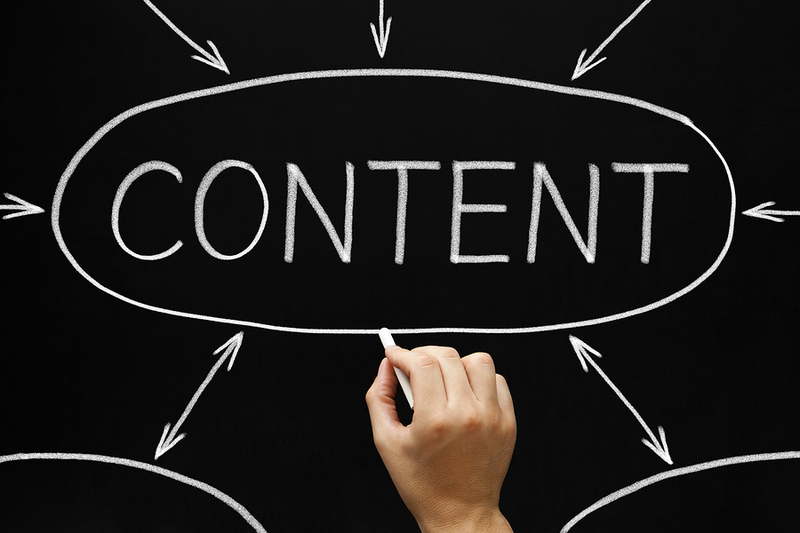 Do you think you’ll consider developing a content marketing strategy? Let us know your thoughts in the comments below. And if you’d like to join the conversation, visit our Advisory Forum on this topic here. You can also offer your thoughts on this topic via our Facebook page. If you’d like to join our Small Membership Advisory Community, you simply need to complete this form.